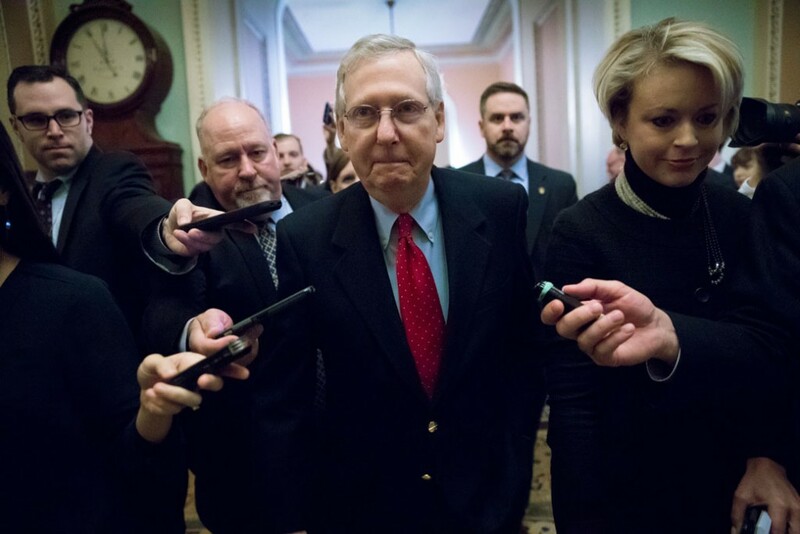 Last week, the Senate dealt a blow to health care by repealing the individual coverage mandate as part of its tax bill. The Congressional Budget Office (CBO) has estimated that repeal of the mandate will result in millions more uninsured over the next decade, even if Congress approves a market stabilization package. A major portion of the newly uninsured would come from the individual market, where mandate repeal would raise premiums and drive some people out of coverage altogether. The CBO projects that 4 million fewer people would have coverage in 2019 and 13 million fewer would be covered by 2025. As a result, the share of the nonelderly population that is uninsured would swell to 16 percent by 2025, compared with about 10 percent currently. By simply allocating the 13 million proportionally across states, the Center for American Progress estimates that, on average, about 29,800 more people would be uninsured in each congressional district by 2025 under the Senate Republican tax bill. CAP previously published state-level estimates of coverage reductions due to mandate repeal here. The individual mandate has been an integral part of the Affordable Care Act’s (ACA) success in increasing coverage and making health insurance more affordable and accessible. The ACA prohibited insurance companies from discriminating against people with pre-existing conditions; required that people be charged the same amount regardless of health status; and eliminated annual and lifetime limits on coverage. The ACA coupled these consumer protections with the individual mandate, which prevents individuals from waiting until they get sick to get covered, in order to maintain the balance of healthy and sick individuals in the insurance risk pool necessary for keeping premium costs low. Mandate repeal has two effects on the individual market. First, some healthy enrollees would drop out of ACA-compliant plans and become uninsured or underinsured. Second, because the remaining enrollees in the risk pool would be sicker on average, insurance companies would need to raise rates about 10 percent to cover the increased average cost. The resulting higher premiums would discourage even more people from obtaining coverage through the individual market. Repeal of the mandate would spur healthy people to avoid purchasing coverage until they need it. Without the mandate, the millions who would become uninsured instead of being covered by Medicaid, employer-sponsored plans, or nongroup insurance would no longer have financial protection against catastrophic medical costs and would be more likely to forgo needed care due to cost. The House of Representatives previously did not include individual mandate repeal in its tax bill, but House leaders appear poised to follow the Senate’s lead. The budgetary gains from mandate repeal come at a cost of generating a permanent premium increase in the individual market, increasing the number of uninsured by nearly 30,000 more people per congressional district, and saddling hospitals and other care providers with the financial burden of providing greater uncompensated care to people without coverage. *Correction, December 6, 2017: This column has been corrected for an error in the calculations of district-level estimates of coverage reductions available in the downloadable spreadsheet. We have also corrected the spreadsheet to clarify that Massachusetts residents would still be subject to a state coverage mandate under federal mandate repeal. For our congressional district estimates, we split each state’s reduction according to each district’s share of the state total for each coverage type based on data tables from the 2016 American Community Survey.